A while ago Willie and Anita form Hobby Alternatief asked us to choose 2 colours with my base colour being white. 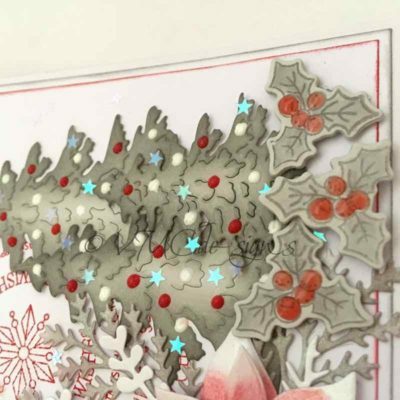 It was a nice surprise, we “had” to make a christmas card with only 3 colours. The usual christmas colours where already spoken for so I choose white, as base colour of course and then grey and red. 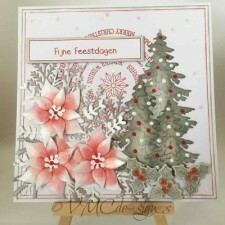 I used a ready made white base card from 15 by 15 cm and used 2 mats both white, one I sponged the edges with red ink and the other one with grey. 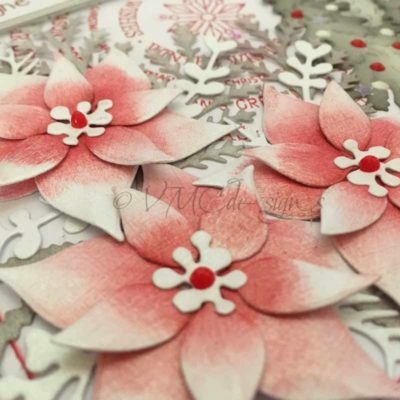 Then the fun began, the colouring of the die cuts I wanted to use, piecing them all together and layering them all. 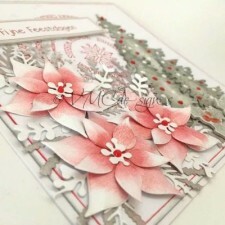 This is the finished result of my card. Do you like working with 3 colours ?